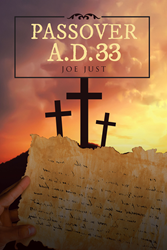 Recent release “Passover A.D. 33” from Page Publishing author Joe Just is a riveting narrative that depicts the viewpoint of minor characters during the Feast of the Unleavened Bread in Christ’s time. Joe Just, a dedicated writer and an amazing contributor to various hobby-type magazines and has worked for many years in the fishing tackle industry, has completed his new book “Passover A.D. 33”: a compelling account about two friends as they uncover a completely unique standpoint of Christ’s Passion, told through the eyes of common people during his time. Published by New York City-based Page Publishing, Joe Just’s engrossing tale portrays sinners, saints, and plain folks who, although having played a lesser part on that fateful Passover feast that transpired in Jerusalem more than 2,000 years ago, paint a more enthralling picture of the salvation of humankind from the reins of sin and depravity. Readers who wish to experience this breathtaking work can purchase “Passover A.D. 33” at bookstores everywhere, or online at the Apple iTunes store, Amazon, Google Play, or Barnes and Noble.